The fabulous vintage clothing and accessory sale returns for its second year! Fantastic deals on thousands of items for both women and men – starting as low as $5 – designer clothes, shoes, jackets, shirts, blazers, handbags, hats, belts and more. The VIP Preview includes exclusive early entry to sale, a complimentary glass of champagne, canapés and live DJ entertainment. Limited number of tickets available – this event will sell out! 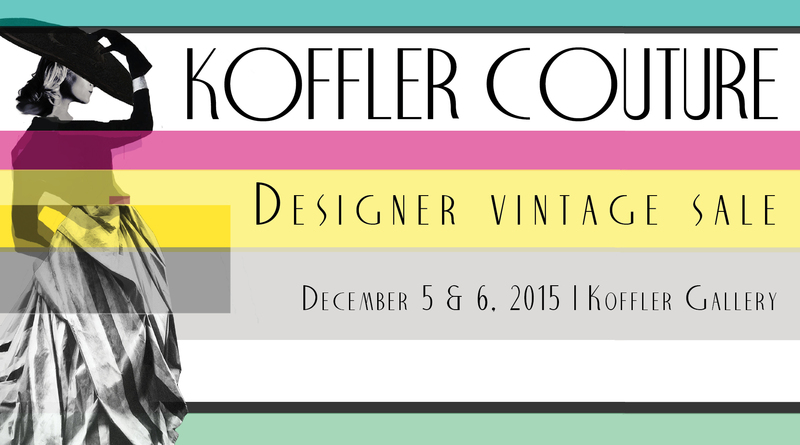 All proceeds from Koffler Couture support the Koffler Centre of the Arts.